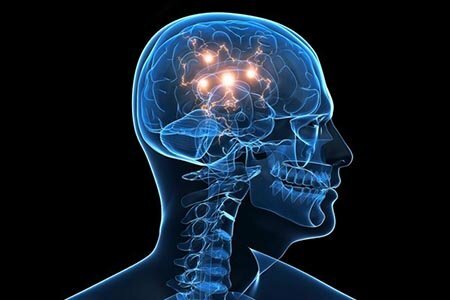 The branch of psychology that is termed neuropsychology allows individuals to study the structure and the function of the human brain as it relates to specific behaviors and specific psychological processes. This branch of psychology is scientific in nature and uses neuroscience, which makes it possible to share an information processing view of the human mind with cognitive psychology and cognitive science. In addition, this psychological work has been applied to lesion studies of humans, as well as animals and has been used in efforts to record the electrical activity that occurs within individual cells of higher level primates. As a neuropsychologist you will likely work within a clinical setting, which will allow you to treat and/or assess patients that have neuropsychological difficulties. In addition, you will also be capable of working within the industry as a consultant; this would require you to design products or to work with the management aspect of pharmaceutical clinical trial research for drugs that may have an impact on central nervous system functioning. Many neuropsychologists also choose to work within a forensic setting. Within neuropsychology, there are three main branches of focus. The first branch of neuropsychology is experimental neuropsychology. This is an approach that utilizes methods from experimental psychology in order to uncover the relationship that exists between cognitive function and the nervous system. This focus area will have you primarily working with humans in a laboratory setting, although you may occasionally work with animals to conduct research. The second branch of the field of neuropsychology is called clinical neuropsychology. This area of emphasis refers to the application of your neuropsychological knowledge in relation to the management, assessment, and rehabilitation of people who are dealing with illnesses or injuries that have caused neurocognitive difficulties. In this focus area, you will specifically be responsible for contributing a psychological view to the treatment process, to offer a sound opinion as to whether a person who is having difficulties is experiencing these problems due to brain pathology or because of a consequence of emotional factors, and to help patients understand how illness and injury can affect them and how these issues can be affected by psychological factors. In this area of emphasis, it is common for you to work within a hospital setting as a member of an interdisciplinary medical team. You would also have the option of working within a privately owned practice, which would also make it possible for you to provide expert advice in medical and legal courtroom proceedings. The third area that neuropsychologists focus on is cognitive neuropsychology. This is a fairly new area that has developed because of the distillations of complementary approaches in the areas of clinical neuropsychology and experimental neuropsychology. In this focus area, you would likely be working to better understand the mind and the human brain by studying individuals who have experienced brain injuries or neurological illnesses. It will also be possible for you to study through connectionism; this uses artificial neural networks in order to simulate cognitive processes using what we consider to be feasible operations of neurons. Or, you may find yourself conducting functional neuroimaging. This method uses specific neuroimaging technologies as a means of taking readings from the brain. It is typically performed when a person is conducting a specific task with the intention of understanding how the activation of given areas of the brain are related to the specific task. In this aspect of neuropsychology, the fMRI (functional magnetic resonance imaging) has made a considerable difference on research that is being conducted in this industry. Are you considering pursuing a career in neuroscience? Have you hesitated because you have no idea what a position in this industry would actually be like? First of all, neuroscience is the scientific study of the human nervous system. Although neuroscience has been considered as a branch of biology in the past, it is now considered to be more of an interdisciplinary science. This means that it is collaborated with other scientific fields, such as engineering, linguistics, chemistry, medicine, computer science, philosophy, psychology, allied disciplines, physics, and mathematics. It is important to understand that neurobiology is often used interchangeably with the term neuroscience. Although these two fields are quite similar, there are minor differences. For instance, the term neurobiology specifically refers to the biology of the nervous system, while the term neuroscience is used to refer to the entire science of the nervous system. In recent years, the scope of neuroscience has been expanded to include approaches that study evolutionary, computational, structural, medical, cellular, molecular, functional, and developmental aspects of the nervous system. In addition, the techniques that neuroscientists use have also been expanded upon, from molecular and cellular studies of individual nerve cells to imaging of the sensory and motor tasks in the human brain. Neural networks have greatly assisted recent theoretical advances in the area of neuroscience. Since this industry is rapidly growing, there are now several organizations that have been created in order to provide a forum for individuals in this career field. For instance, you could join the European Brain and Behavior Society, the Society for Neuroscience, the International Brain Research Organization, and the International Society for Neurochemistry. In your capacity as a neuroscientist you will spend much of your time studying the structure and the function of the brain, as well as the nervous system. It is common for neuroscientists to choose an area of specialization such as cell chemistry, biology, genetics, cognition, experimental psychology, or brain anatomy. Depending upon your place of employment, you may be responsible for conducting theoretical research using computer simulations, you may be supervising clinical trials and tests, you may be responsible for writing scientific papers, or you could be conducting laboratory experiments on tissue samples. Although this is a fairly new area of study, there will be many more job opportunities for individuals who have completed extensive training and educational requirements. Your knowledge and skills will make it possible for you to efficiently use several different techniques and tools in order to learn about the nervous system, the brain, and behavioral patterns. It will be important that you are proficient with a variety of computer software so that you will be competent in researching previous studies and able to interpret results from current studies. It will be likely that you will have to utilize cell counters, microscopes, and other complex machinery while working in the laboratory. In addition, you must be able to apply what you know about biology and psychology in order to analyze the development, structure, and function of neurotransmitters and nerves. It will also be important that you can communicate well regarding issues within this field since you will regularly be required to collaborate with other individuals whose work is relative. For instance, you may work with a group of neuroscientists to conduct an extensive, in-depth study of a topic related to neuroscience. You may also find yourself working with other neuroscientists to acquire materials and machinery, to apply for grants, to organize or design research projects, and to recruit volunteer test subjects. Keep in mind, in order to become a neuroscientist you must obtain your PhD. Neurobiology, which is used interchangeably with the term neuroscience, is an interdisciplinary science that is collaborated with mathematics, chemistry, engineering, linguistics, philosophy, psychology, physics, computer science, and allied disciplines. In past years, this branch was viewed as a section of biology. Neuroscience is used to refer to the entire science of the nervous system, while the term neurobiology is used to specifically describe the biology of the nervous system. The works contained within this branch have broadened in recent years and now include cellular, structural, molecular, functional, computational, developmental, evolutionary, and medical aspects of the nervous system. In your occupation as a neurobiologist you will be responsible for developing, as well as maintaining, effective working relationships and liaisons among groups, the public, various agencies, and individuals in order to encourage cooperative management strategies. You may also find yourself interpreting findings from the collection of data and developing information relative to your area of expertise. You will also be responsible for programming and using computer software as a means of storing, processing, and analyzing a given set of data. You should also expect to collect biological data about relationships that exist between organisms and their environment; it will also be up to you to analyze the information that you have collected. Depending upon where you choose to become employed, you may also be required to supervise biological technicians, general scientists, and biological technologists. In addition, you will likely need to prepare technical reports and research reports for the executives in governmental departments, within the industry, or in the general public. This may relate to environmental impact reports that require you to interpret the results for a specific group of people. Of course, as neurobiology grows and changes with our society, more and more complex areas of study are created and explored. For instance, the field of neurobiology is responsible for studying the development of the brain in order to identify the origin of a specific disease. However, there are many different methods of research and study that are used within this field of study. The field of neurobiology is also responsible for studying the relationship that exists between brain activity, disorders, or mental issues that individuals deal with. To conduct research, neurobiologists often use tools such as MRIs (Magnetic Resonance Imaging), which can show how the brain reacts to specific stressing stimuli or engaging factors. These research tools and studies that are conducted by neurobiologists have turned out to be successful in diagnosing and assessing cases of epilepsy, schizophrenia, anxiety, or other mental disorders. Neurobiologists also are responsible for using what they know in order to understand how the brain functions in circumstances of causing addiction, supporting addiction, and overcoming addiction. Neurobiologists also study how proteins and genes contribute to a person’s addiction to substances or alcohol. In relation to these studies, you may also delve into anti-depressants and their effectiveness or lack thereof. The work of neurobiologists, whether it be conducted in schools, hospitals, labs, or in a real world setting, helps our society to better understand how specific medications make us react, about possible side effects, and about the potential effectiveness that is available from a specific prescription. It is important to understand that neurobiology is still a developing field of study. In order to catch up to other, more developed areas of science, neurobiology will have to receive major emphasis from dedicated individuals who want to uncover the connections that exist within the human brain and the nervous system. Of course, the more developed this industry becomes; the more likely our society is to have answers regarding fighting diseases that attack the nervous system. Sensory neuroscience is a subfield of neuroscience; the field of study that explores the anatomy and physiology of the neurons that are an essential part of our body’s sensory systems. This encompasses our body’s hearing system, vision system, and olfaction system. Neurons that are located in the sensory regions of the brain work to respond to a given stimuli by firing a nerve impulse because of the presentation of a stimulus. Due to the fact that our body’s neural code is not thoroughly understood, individuals who work in the area of sensory neuroscience are attempting to uncover just exactly what is going on. As a sensory neuroscientist you will be working to provide critical information that will help identify the functions of the brain in general. As you conduct experiments in your role as a sensory neuroscientist, you will be required to present a series of stimuli that are relevant to the experimental subject. Of course, the brain will be monitored throughout this entire process. The monitoring that takes place during the experiment can be accomplished through an invasive means or a non-invasive means. If the situation calls for an invasive means of monitoring you may use electrophysiology. This method uses electrodes to record a single neuron or a group of neuron’s electrical activity. Non-invasive means of monitoring include electroencephalography (EEG) or functional magnetic resonance imaging (fMRI). The fMRI is used to measure the change in blood flow, which is relative to the amount of neural activity and provides the researcher with data from the entire brain. On the other hand, electrophysiology provides the tester with extremely high temporal resolution and it is possible for data to be obtained from a single brain cell. In your work as a sensory neuroscientist it will be quite common for you to conduct single neuron experiments. This type of experiment is frequently conducted in an attempt to measure the individual ‘spikes’ that occur from a neuron. These spikes take place as neurons communicate with one another regarding sensory information. A single neuron experiment will consist of a sensory neuroscientist isolating a neuron, determining if all of the spikes are originating from a single neuron, and presenting a stimulus protocol. Due to the fact that neural responses are known to be variable, which means that their spiking pattern may be as a result of more than just the presented stimulus, the same stimulus protocol will probably be repeated numerous times. This allows the researcher to get a more accurate feel for the different variations a neuron may actually have. In your position as a sensory neuroscientist it may also be common for you to study the neuron’s average firing rate, also known as the Post Stimulus Time Histogram (PSTH). It is common for sensory neuroscientists to operate under a goal of estimating the receptive field of the neuron. This allows you to identify which specific stimuli make a neuron fire and in what ways. In your job, you may decide to use a linear regression technique. This method is used to locate the stimulus characteristics that cause a neuron to become depressed or excited. In recent years, it has become quite popular for individuals working in neuroscience to select natural stimuli in order to characterize sensory neurons. Many people in this industry believe that evolutionary pressures have caused sensory systems to represent natural stimuli in a favorable light; therefore, it is now believed that sensory systems may show the most appropriate and reliable behavior when responding to a natural stimuli. It is important to understand that sensory neuroscience has also been used as a backwards approach to studying consciousness.